Newcomerstown, OH – This Saturday Kimble Recycling & Disposal will assist local residents by accepting household refuse that has been accumulating due to service lapses by other refuse companies. 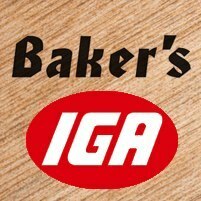 On Saturday, December 17, from 8:00 a.m. until 12:00 p.m., Kimble will be set up at Baker’s IGA, located at 316 S College St. in Newcomerstown. Kimble will charge $1.00 per bag for general household refuse. Bulky items may also be dropped off for an additional fee. Stop by and drop off extra trash at a reasonable price as you prepare for the holidays, and talk to a Kimble representatives about starting waste collection service that day! Kimble will have new refuse containers for you to take home on Saturday when you set up new service, or we will schedule the delivery of a container to your home next week. Request service today or call us at 1-800-201-0005 ext. 9402. Kimble Recycling & Disposal is a local family-owned company with over 60 years of experience in the waste industry.